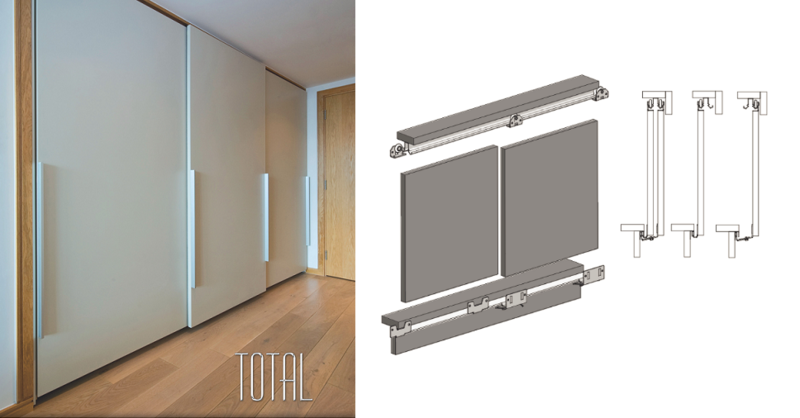 TOTAL is the economic sliding door gear system for doors installed in cabinets and free standing wardrobes. The simple design ensures ease installation, allowing this system to be use in production of flat pack, ready to assembly furniture. Upper fittings are provided with ball bearings to ensure quiet and smooth slide of doors weighing up to 25kg.